On Feb. 26, 2010 Helena’s 15-year-old daughter Cassandra Wood died by suicide in their home community of St. Theresa Point. Her body was found a day later in a garage near the community’s high school. Helena believes witnessing years of domestic violence in the home was too much for Cassandra. “I’m not going to go through this again. 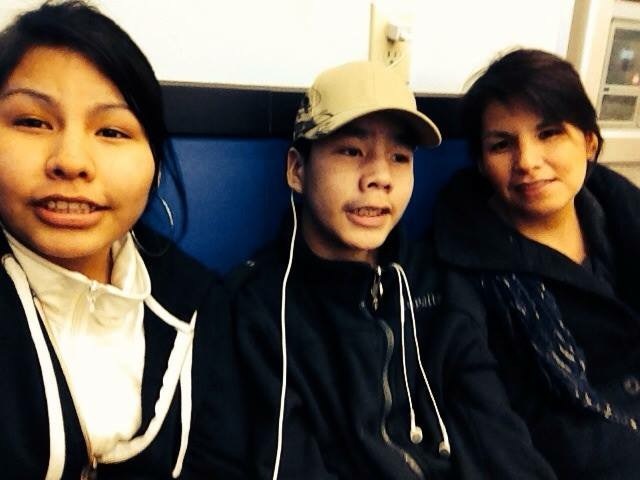 I’m not going to lose another daughter because of him,” she told APTN News. “He doesn’t matter to me. What matters is my kid’s future. Giving them the best life I could possibly give them. In August 2010, six months after Cassandra’s death, Helena fled to Winnipeg with her kids. She called a local shelter asking for help getting the family. St. Theresa Point is a remote community in northern Manitoba. During the summer it is only accessible by plane and in the winter people can drive in and out via a winter road. The shelter paid for Helena and her kids to be flown to Winnipeg. She eventually settled in community of Steinbach located 58 km southeast of Winnipeg. It is here where she had to face some harsh realities when it came to her daughter. “I regret not knowing her. 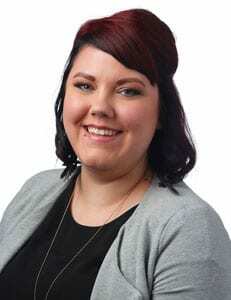 Even though she was reaching out to me I turned her away because of the domestic violence,” she said from her home in Steinbach. Helena and Cassandra’s father began dating while they were in high school. Helena became pregnant with Cassandra at the age of 16. She married Cassandra’s father when she was 18. The violence started early on in their relationship. APTN has decided not to publish his name at Helena’s request. According to the report Island Lake First Nations Family Services (ILFNFS) first intervened in December 2008 when Cassandra told local health workers she didn’t want to go home because of the violence. Helena and Cassandra’s father met with ILFNFS, health services and justice representatives. They were concerned marital problems were affecting the children. The agency was supposed to follow up the next week but there is no documentation indicating that meeting took place, according to the report. In September 2009 Cassandra went to live with her maternal grandparents because of the violence. She remained there off and on until her death. With the abuse came the drinking. Helena use alcohol to cope with the abuse. She says it helped numb her feelings. That dependency followed her, but this time she was drinking to deal with Cassandra’s death. Cassandra’s siblings, Jewel and Austin Wood, were trying cope with their sister’s death. Their relationship with Helena began to deteriorate because of Helena’s addictions. Helena contacted child and family services hoping to get counseling for her kids and herself. The agency responded by apprehending the kids. Jewel decided to move back to St. Theresa Point to live with her father. Austin was placed in another home. “I went to the emergency. I wanted to quit on my own but I knew I couldn’t because of my body. Then I went to the crisis stabilization unit over there,” said Helena. Doctors told her symptoms from withdrawal could be fatal if she quit cold turkey. It’s been eight years since Helena left the community. She has now been sober for nearly two years. She credits her sobriety to the support of her parents, a strong group of friends and rediscovering her faith. “I go to church and I go to a bible study group. I call them my family but they’re my friends. That’s where my help is and that’s how I finally healed,” she said. Both Jewel and Austin have since aged out of the child welfare system. Two years ago Jewel gave birth to Helena’s first grandchild – a baby boy named Anthony. Last summer Jewel and Anthony moved to Steinbach to live with Helena. Shortly after Austin followed. Helena Wood, far right, with her daughter Jewel Wood and son Austin Wood. It may have taken six years but Helena finally has her family back. Much of her focus has been staying clean and in control of her life. When Helena is plagued with doubt or exhaustion she leans on Marlene Schindler for support. The two met shortly after Helena arrived in Steinbach and have remained close since. Schindler watched as Helena worked on rebuilding her life. “She can look her kids in the face and never be ashamed because she did what she could do and did it to the best of her ability and she never quit,” said Schindler. Approximately 10 per cent of the population in Steinbach identifies as Indigenous, according to a 2016 census report. Many Indigenous foster kids are being placed in non-Indigenous homes. Helena saw this and decided to team up with the Steinbach Arts Council to facilitate workshops on traditional culture. She invited foster families and members from the community to a tea and bannock event last fall. It is here where she spoke openly about Cassandra’s death for the first time. Helena wants to tell people about her losses and what she has learned from her past. She also hopes the events can keep kids connected to their culture. 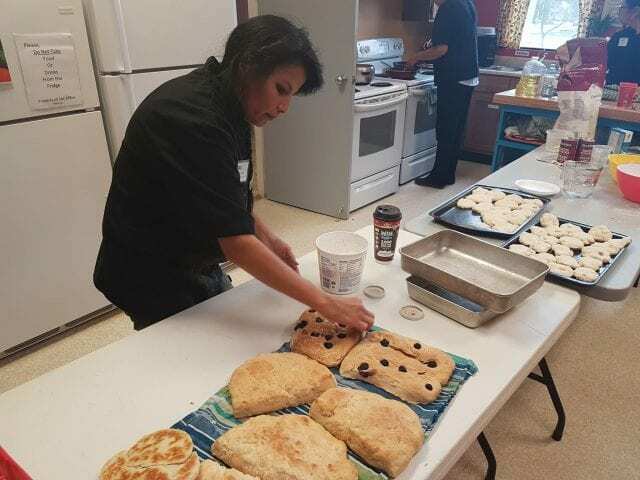 Helena Wood making bannock at an event she recently organized. This is all volunteer work. Helena says physical pain from the years of abuse prevent her from working full-time. She has chronic back pain and cannot stand for long periods of time. She is also living with post-traumatic stress disorder. Every time she goes to swallow something her throat closes up and she begins to choke. Solid foods are now blended together to form a puree. Helena says doctors have ruled out any permanent damage. She now must re-train her body and brain on how to eat. While she cannot work right now, Helena longs for more. She has her sights set on Providence University College – a Christian university located in the rural community of Otterburne, Man. There’s still some logistics to work out like paying for the schooling and transportation, but with this goal in mind Helena feels she finally on the right path. Judy Klassen has been by Helena’s side since before the abuse started. The two are cousins but in their culture they refer to each other as sisters. Klassen sheltered Helena and her kids when they first arrived in Steinbach. She sees Helena’s journey as a story of redemption and victory. “To see her still standing there. Still trying to take care of her kids. To be still standing it’s quite an accomplishment,” said Klassen. Helena wants to educate others about domestic violence. Part of that includes honouring Cassandra’s life and what it could have been. From her home in Steinbach she imagines Cassandra would have gotten married and started a family after she graduated high school. Earlier this month Helena visited the spot where Cassandra’s body was found in St. Theresa Point. She has visited this site a handful of times since her death. But, this time is different. This time she is ready to move forward. Great story of inspiration to overcome addictions love it and the work with kids giving them some culture and belonging. Breaks my heart all these lost kids. So proud of you! Don’t ever quit fighting for the good life! Keep going strong Helena. You are not alone. Be brave and Be You. Youre definatley an inspiration. and please do not forget that.